Bradford Rogers has been the Band Director of Oldham County High School in Buckner, Kentucky for 27 of his 35 years of teaching. Rogers earned his BM from Middle Tennessee State Univ. and his MMed from the University of Louisville. He then taught in Tennessee and Kentucky before calling Oldham County home. Rogers received the NBA's Citation of Musical Excellence in 1999 and again in 2014. He was the Phi Beta Mu Outstanding Bandmaster in 2012. 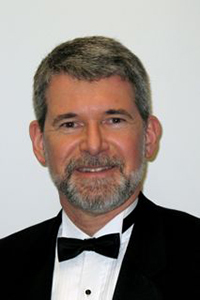 He has served the KMEA in various offices and will lead that group as President next year. Under Rogers' direction his groups have received Superior ratings at the KMEA District and State Concert Festivals every year since 1987. Rogers says,"Musical opportunities that I had as a student as a member of outstanding ensembles, Great mentors in high school and undergraduate school who encouraged my and held me accountable for high musical standards, along with professional colleagues and peers who have supported and encouraged me throughout my career, especially through the tough decisions one must make... these have truly shaped my life to this point." Rogers states his philosophy like this,"It's about the students. Directors are really powerless to do anything if the students in front of them do not see the value in what they are doing. I feel it is my job to challenge them to achieve at the highest musical level, provide great musical opportunities, and to do everything possible to put students in the position to succeed. Music is a means to build great people. Lessons learned in the band room translate to success in any other human endeavor. I continue to teach because I feel that I am paying back my mentors for all they continue to give to me through music, and to also pay forward to the future of music education." Michael Hipp has served as the Band Director of Washington High School in Fresno California for the last seven years, He earned a BM Ed from Iowa State and his MM from Notre Dame. He then taught for a brief time in Iowa before heading to the west! 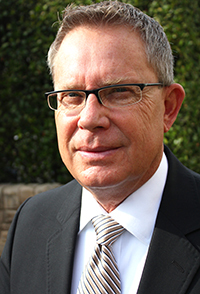 He has taught in several different schools in central and southern California. In 2009 Hipp was named the Fresno Maderas Counties Music Educator of the Year. He has also been called on to be the Director of the FMCMEA Intermediate Honor Band. Hipp has also given back to the music community by serving as the President of the CMEA Central Section and as Treasurer of the Western Band Association. When asked about what shaped his career he said, "Always tried to be a good listener. I would go to as many performances as I could possibly attend, both instrumental and vocal. This helped my listening skills to develop the great sounds with my groups. I would attend as many workshops and clinics as I could that focused on rehearsal techniques, new literature and conducting. Having my colleagues listen and clinic not only my bands, but also my conducting as well. I will always try to give these things to the younger directors as well." Hipp's philosophy is,"Kids are kids. Give them good literature, quality instruments, good consistent and sequential instruction and set them up for success in any performance arena."